Dina Kowal Creative: New Year Sales! Just wanted to refresh my sale list with a few that popped up for the New Year! (Affiliate links may be used at no cost to you.) I'll add more if I find more! Enjoy a 25% discount on all art prints in my Etsy store this week - no code needed! 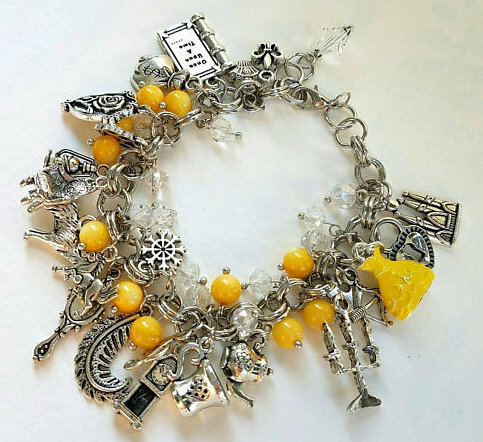 CollegeDreaminKid on Etsy - I found this young man a week or two ago and was very impressed both with his work and with his character - he's got some gorgeous storybook and movie themed charm bracelets on sale (3 of them are coming my way - happy birthday to meeee!). Spellbinders sale - 40% selected items in the New Year's Party sale - and up to 70% items in the clearance section. Riley stamps has 25% off entire store today only!! Oops I posted my comment on the wrong date, love your great videos on Splitcoaststampers, I always learn so much from you. I guess we celebrate birthdays very close together, mines on the 2nd of Jan, so Happy Birthday and have a great year!